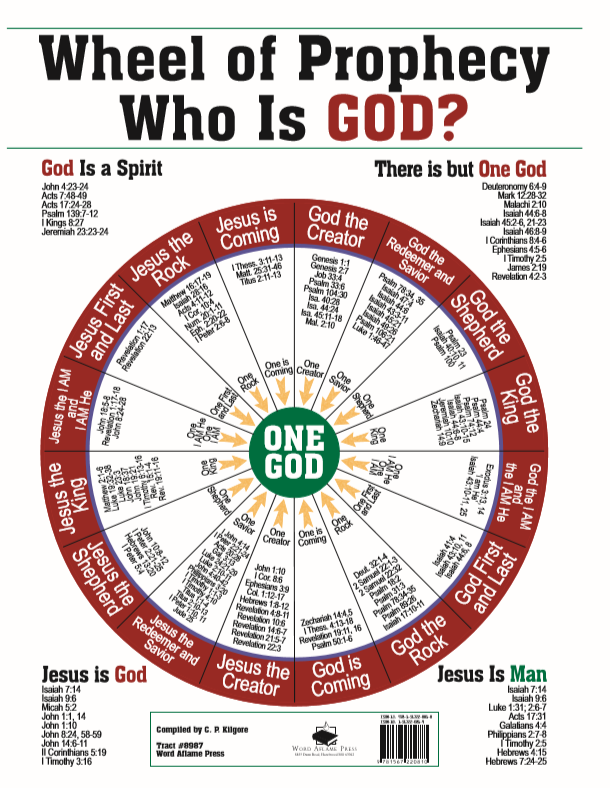 The Wheel of Prophecy that you see below is a tract compiled by the late C.P. Kilgore, an Apostolic Pentecostal minister who preached in the early to mid-20th century in the USA. The tract, using scripture, demonstrates that Jesus Christ of the New Testament is the God of the Old Testament incarnate. By studying this tract, we can readily ascertain that Jesus is God. If you are interested in purchasing this tract from Pentecostal Publishing House, go here.